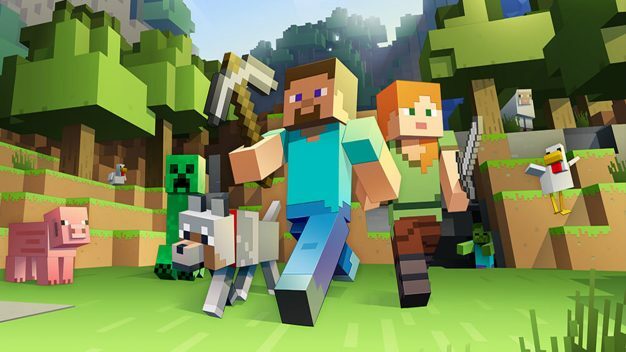 It’s about time for Minecraft to show how much better the game is when playing with others. The “Better Together” update is the crossplay update that was announced at E3 earlier this year. As of now, Xbox One, Windows 10, Mobile, and VR users will all be able to join into worlds with each other and play the blocky sandbox game. Nintendo Switch will be getting the update this winter as some beta testing still needs to be done on that platform. So far Sony does not want to include the PS4 and Vita in the gathering, but Microsoft has said they are in ongoing talks to bring it there, so you can keep your hopes up. With this update, players on all the above platforms (except Xbox) can also share invite links to Realms, which is the area of the game that lets your world stay active even when no one is on and anyone can join at anytime. The host of the world does not need to be on. Xbox will be getting this feature soon. Along with the crossplay feature, the update brings a ton of new content, tweaks, and bug fixes that you can check out on the Minecraft website here. As a guy who has put hundreds of hours into Minecraft, but not much in the last couple years, I am pretty excited to give this a try. There is a very real chance that this could pull me back into the game, especially since it means I can play on my Xbox and be playing with my daughter on her phone while she is at her mom’s house. Even though it is a game that came out years ago, Minecraft is still evolving. I have to say, I did not expect it, but I am kind of excited for this. You can check out Gameinformer’s post on the update here.